I thought I was mostly wrapped up with the album I'm working on for my friend's mother-in-law and didn't think I'd have anything more to share, but I was wrong. And there might be one more after this. :) After H and I had a chance to sit down and go over all of the pages I'd made to date, we discussed the remaining photos as well as the notes each of the kids had written to their mother. We decided that the letters would be paired with a current photo, turning each set into a 2-page layout. While I can't show you what was so lovingly written, I wanted to still share these pages because sometimes it's a stumbling block to work with items other than photos. Even though their shapes may be the same, we can run into a wall when trying to incorporate something different onto a page. I kept these pages even more simple than the others in this album to be sure I wouldn't detract from the special words written. 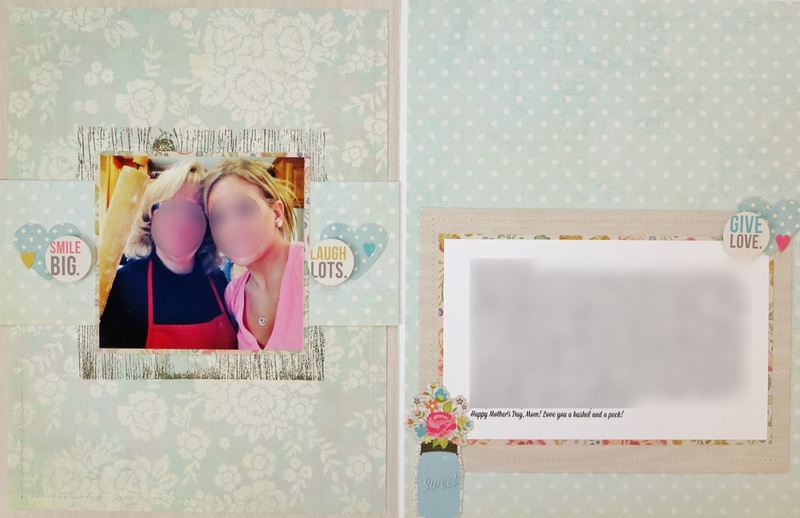 If you'd like to see the other layouts I shared from this album, you can find the post HERE. I still have the pages of her sons to do and a couple of others. H is having a hard time finding a more current photo of her mother-in-law and all the kids together, so let this serve as a reminder to make sure you take plenty of photos with your family, they truly are priceless! Lovely arrangement. Oh, you are so right about having photos. These are beautiful page Elise, sure to be cherised. These are beautiful pages and such a wonderful gift, Elise! Very pretty! Great color combos. Great idea to make it a two page spread with letter and coordinating photo! SO beautiful (and meaningful ! 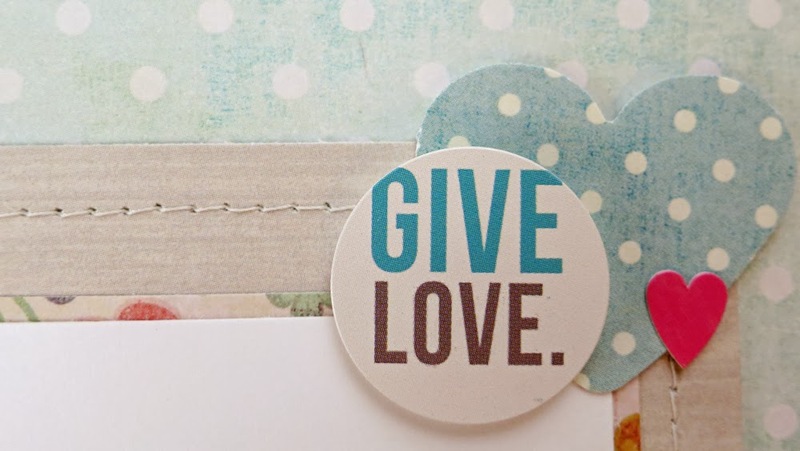 ), love your paper choices and the color palettes ! Great layouts, I really like the banner pieces you added.